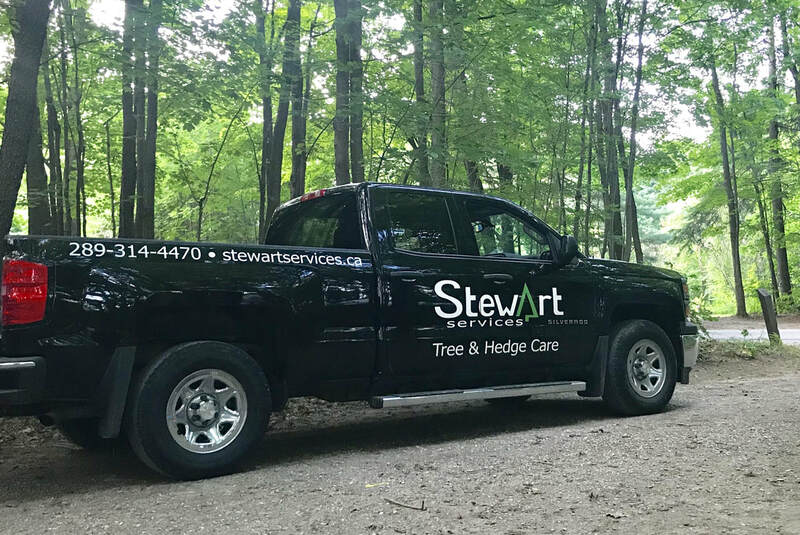 Stewart Services is an award winning tree care company because we provide our customers with excellent customer service, professionalism and thorough knowledge of the industry. Stewart Services has been serving the GTA, Durham Region and Cottage Country since 2009. With a history of training Arborist Apprentices from Humber College and pre apprenticeship candidates we are recognized for training the future of our Tree Caregivers. 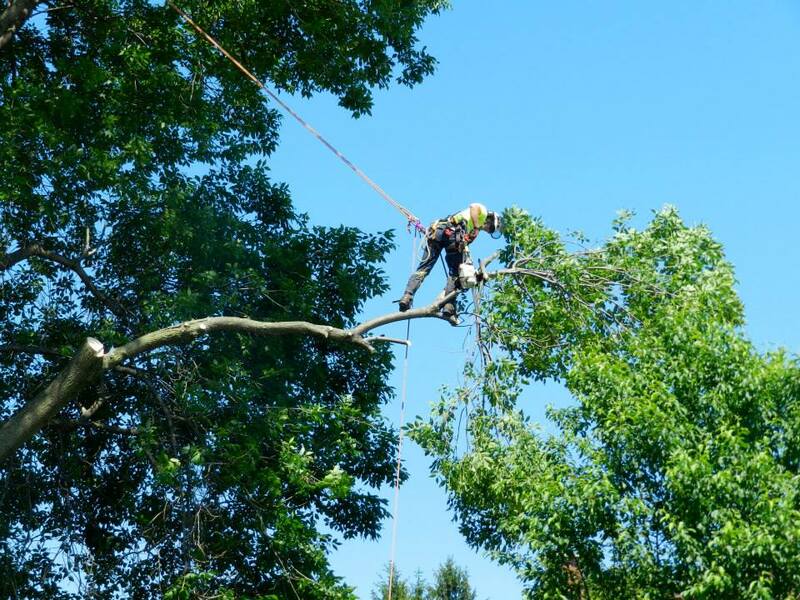 ​​We understand that our customers are not just looking for tree pruning, but for a trustworthy outdoor maintenance provider that cares about them and stands behind their work. Our commitment to quality is evident in every single job we do. All of our services are backed by our 100% satisfaction guarantee; contact us today to learn more. We serve Durham Region that includes Newcastle, Bowmanville, Courtice, Oshawa, Whitby, Ajax, Pickering as well as Toronto and Scarborough. We also serve Cottage Country. We welcome requests from additional areas. We reserve the right to decline regions as volume demands. Stumps starting at $75. Quoted separately. Complete removal of tree to the stump (2-3 inches above ground). Having wood left onsite piled in large or 18" pieces. Having stump removed, two categories available. See Stump Removals. View past removals in our photo gallery. Removal of any sucker growth, rubbing limbs, selected limbs to open tree for light and air. Reduction of limbs away from roofs and buildings to prevent damage. Selected limb removed without damage to remaining tree. Pruning tree of only naturally dead limbs. 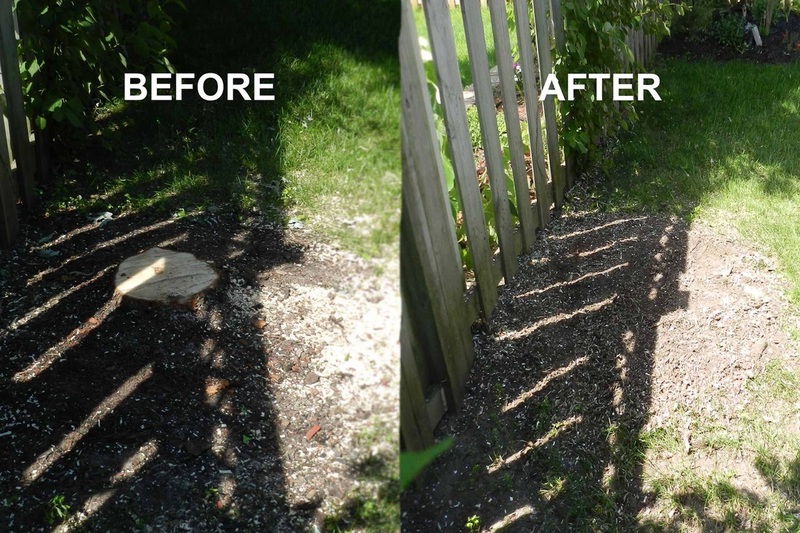 Complete removal of trunk stump and root system from surrounding lawn. Some stumps can be quoted over the phone or by email. When requesting your estimate please include the diameter measurement of the stump and include any roots that come off ("flare"). Photos can also be uploaded on our contact form. Trimming of Cedar Hedge with full debris clean up. Recommended in Spring or Fall. Max Height 10-12 feet depending on Hedge Thickness and have flat ground for ladder work. Removal of cedar hedge, with optional removal of stumps. During storms in all 4 seasons we are there to assist home and business owners who are in need. Including cracked limbs, hanging limbs and fallen trees. We are experience in working with Insurance companies and gettin﻿g your pro﻿perty back into a safe condition to help you receive coverage for the fee. Pricing determined primarily on size and species of the tree selected. Delivery costs for larger trees set by Nursery. When you require a professionals opinion we are able to assist in a wide variety of areas. We can evaluate trees for safety and preservation. Assist future landscape considerations to avoid damage to trees and provide tree inventories. Also, provide information for new home purchases to avoid unknowing significant financial burden. This service is not included in our free quotes program and is billed upfront based on needs. We are working on a new program specifically for Not-For-Profit organizations that need assistance with tree services on their properties. If this interests you and you wish to apply please Contact us today. Our services begin at $400.00 + HST, this includes our crew, insurance and WSIB coverage for all employees. 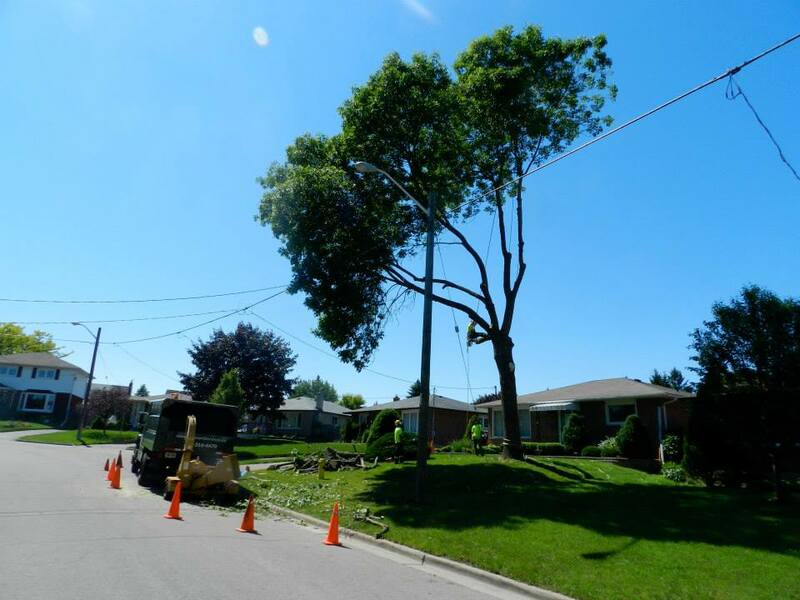 The service can include a combination of Tree(s) and Hedge services. We also provide set daily rates and optional clean ups. We will cater the quote to each properties specific needs. Credit card purchases may be subject to an Administrative fee, for full details please contact our office. A $30 surcharge will be added for returned cheques (NSF) and repayment in cash, certified cheque or credit card will be required. Larger projects will require a deposit.